The mermaid bride is looking a little dry. Throw a few back with you and your girlfriends to celebrate the engagement! 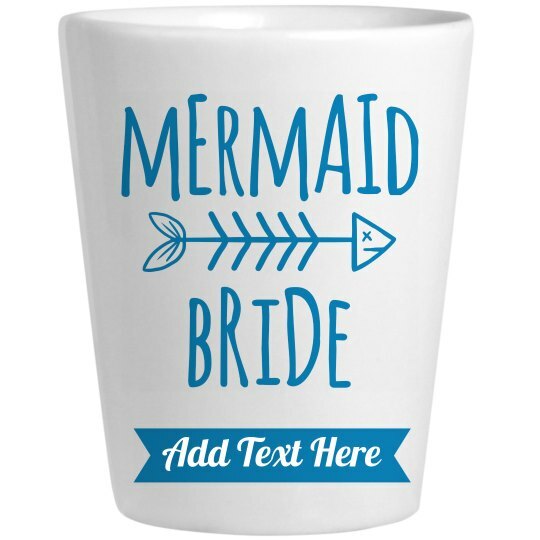 This shot glass with the matching mermaid tribe one is perfect to use to cheers with all of your friends. Customize it by adding any text you want.